The waters off the West African coast are a menacing red, full of algae thick enough to stand on in places. In nearby villages, mysterious deaths start to occur--and the panic mounts. But before an alarm can be sounded, the sea currents shift, the algae vanishes, and the deaths stop. Everyone is relieved when things return to normal, and local government officials are happy to sweep the publicity nightmare under a rug. 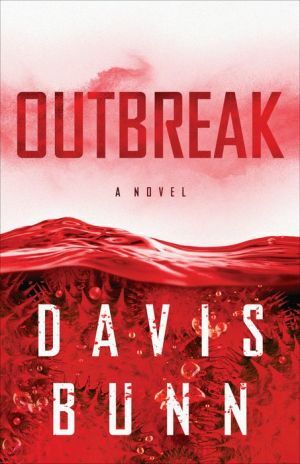 An American biological researcher, Avery Madison, is dispatched by his employer to piece together exactly what happened, having long feared an ecological disaster just like this could occur. He's had little evidence to go on before now, and what he finds in West Africa is rapidly disappearing. But Avery knows the danger hasn't disappeared--it has just moved on. When parts of the Caribbean start turning a familiar red right before hurricane season kicks into high gear, the implications are clear. If Avery and his colleagues can't convince the world of what's about to happen, toxic destruction could be loosed on American soil. Will their efforts prove too late?